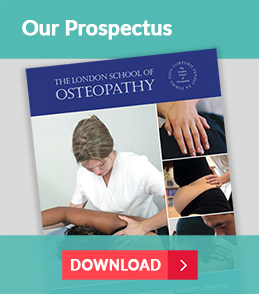 Once you’ve decided you’d like to study to become a qualified Osteopath at the London School of Osteopathy there are two ways to apply depending on whether you choose to study for your osteopathy degree on a full-time or part-time basis. All students are enrolled on the MOst degree course. 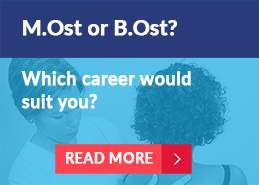 At the start of the third year of the full-time course or fourth year of the part-time course, you have the option to switch to the BOst degree. Your tutors will be able to help you make this decision. Applicants who wish to study full-time need to apply via UCAS. Simply set up your UCAS account and you will be guided through the online application form. To apply for the LSO’s undergraduate MOst course you need to fill in our institution code which is A60 (for Anglia Ruskin which is the validating body) and course code B310. In addition you will be asked for a campus code which is S for LSO. Once you have submitted your application please email admissions@lso.ac.uk with your details including UCAS number so we can follow up your application. Once you have completed your application UCAS will automatically forward it to us to consider. Applicants who wish to study-part time do so by applying directly to the LSO. Once we have received your application either via UCAS or via our online form it will be passed to our admissions team. Successful applicants will then be invited to attend an interview. Shortly after this you will be notified of our decision. If you are unsure of whether to study on a full-time or part-time basis please call the LSO and our Registrar will be happy to discuss your options or alternatively come along to one of our Open Days. Book and come to an Open Event at 12 Grange Road. Course code: O for osteopathy and B310 (all students register for the MOst and can transfer to the BOst once on the course). Campus code: S for LSO. 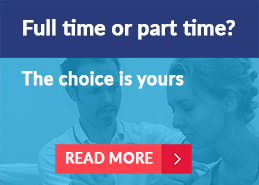 Part-time: apply directly to the London School of Osteopathy by completing this application form. The LSO considers your application and decides whether to invite you for an interview. Attend an individual applicant interview at The Grange. The interview usually lasts about 30 minutes. More information can be found here. You will be notified of the outcome of your interview by UCAS within 1 week. If you receive an offer it will be either conditional or unconditional, and you will have to accept or decline your offer by the date specified. You will be notified of the outcome of your interview by the LSO within 1 week. If you receive an offer it will be either conditional or unconditional, and you will have to accept or decline your offer by the date specified. If you accept the offer you can begin preparing for life as an LSO student. We do not take bookings by email.